In a stroke of incredible timing, our team in Botswana witnessed an extraordinary scenario. 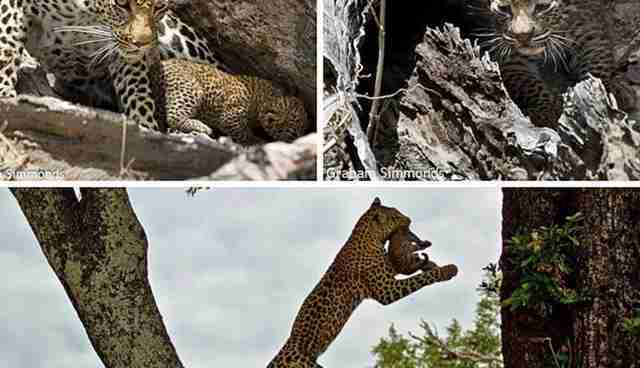 One of Pula the leopard's two tiny cubs was spotted climbing out of the tree she had hidden them in. It transpires it had just managed to evade a python which had taken its little sibling. 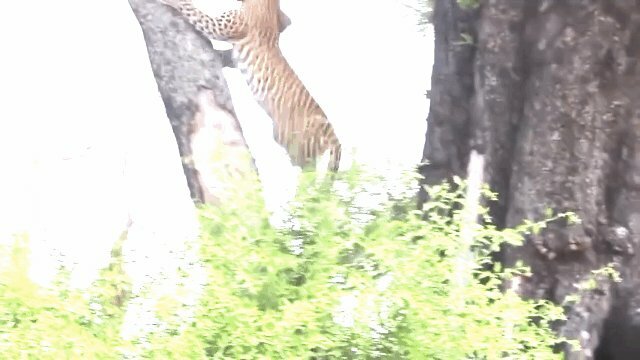 After a few hours Pula came back and took the surviving cub to safety in a fallen tree. She went back to the tree where she lost the one and tried her best to get the python out but to no avail. Hopefully, her new hiding place for her precious secret will be safer.